Salzburg is a charming city in Austria, relatively close to my German birthtown, and full of Austrian charm, food and sights. Mirabell Palace is a former royal residency, now open to public and surrounded by Mirabellgarten, a garden dedicated to ornamental gardening and a popular tourist attraction. 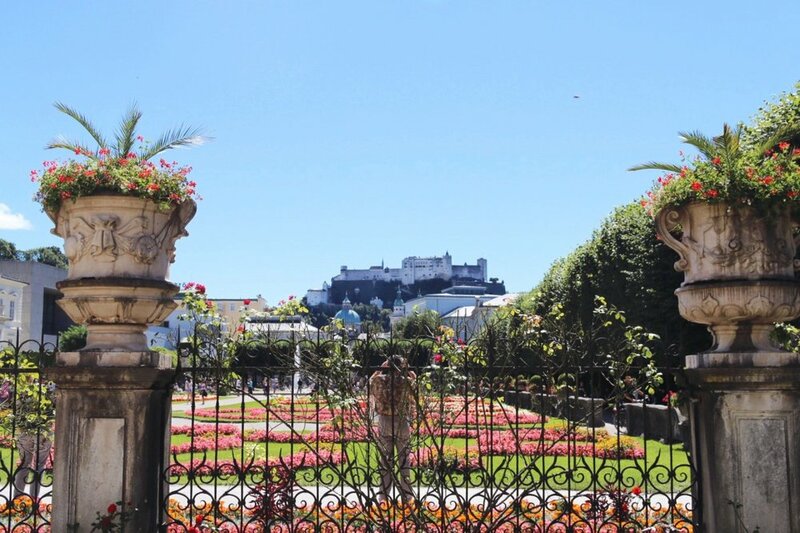 It is located quite central in the new city of Salzburg, with view to the fortress Hohensalzburg, that gave the city its name. Another part of Mirabellgarten is an orangery, which contains more exotic plants, and another attraction: giant aviaries that are home to friendly birds who like fruity snacks.